The entire team looks forward to welcoming you. The historic center of Liège is only 6.2 miles (10 km) away. Golf lovers can enjoy a round at the Sart-Tilman golf club. Once back at the hotel, stay connected with our free WIFI. The Ibis Liege-Seraing Hotel is located just minutes from Liege city center and the TGV train station. Nestled between the business hub of Liege and the leafy Ourthe valley, Liege is a hidden gem just waiting to be discovered. The Sart-Tilman Golf Club (109 yards - 100 m away), the Standard Liege and Ethias Country Hall Arena are all close by. The hotel boasts 66 comfortable, air-conditioned rooms with free Wi-Fi access and ample free parking. Our hotel is easily accessible by car. From the hotel, it takes just a few minutes to reach the E25 highway toward Maastricht in the North or Luxembourg in the South. Liège train station is located just 6.2 miles (10 km) from the hotel. 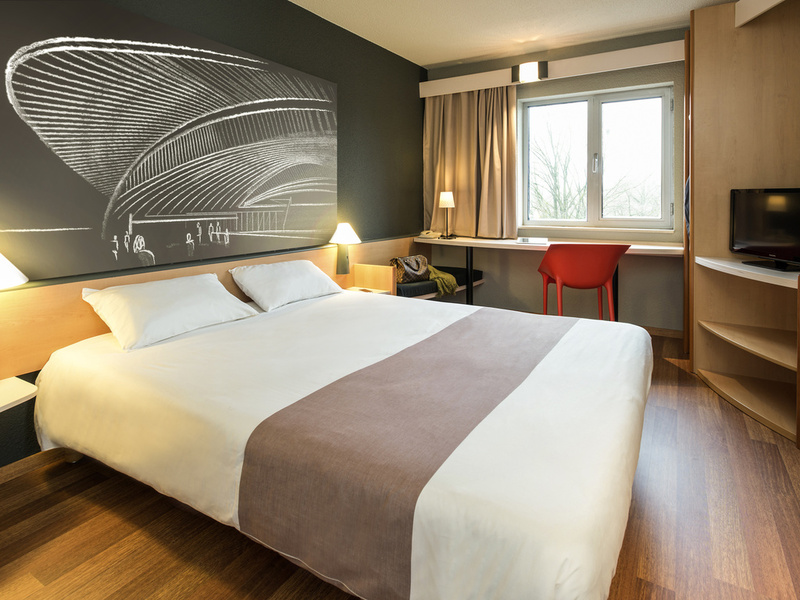 Enjoy your stay at the Ibis Liège Seriang in our modern and welcoming rooms for two or three people. Our rooms have parquet floors, a bathroom with bath or shower, flat screen TV and free Wi-Fi.